Blackhawk Investments Corp. enables real estate borrowers and lenders to connect directly via our automated real estate brokering platform for commercial and investment properties. Since peer-to-peer real estate lending is asset-backed, the ideal borrower is anyone who has real estate, sufficient equity ownership, and the ability to execute a plan for the property. Not being tied to any specific institutional investors, Blackhawk can focus on matching the best capital partner for each client, making us the ideal alternative to traditional bank qualifiers and other investing options. Apply for a loan online in just a few minutes, with no up-front costs or commitments. Loan Specialists will organize your documents and create an investor summary. 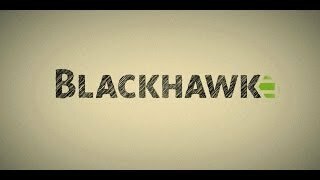 Loan requests become available for investment on Blackhawk's automated online matching platform. Loans are underwritten, funded, and serviced by the matched lender. Create an investor profile for private real estate lending in minutes. Get "pinged" with matched lending opportunities that fit your investment criteria. Maintain your own self-directed investments secured by commercial or residential investment properties. Directly receive your monthly interest payments into your own bank account like collecting rent.